Ensuring Indigenous people have the essential skills they need to benefit from job training and to launch their careers is a key priority of the Government of Canada. Strong literacy and essential skills provide the foundation for learning all other skills and enable people to better find and keep jobs, and to adapt and succeed at work. Today, the Honourable Patty Hajdu, Minister of Employment, Workforce Development and Labour, announced the Indigenous Workplace Learning Model pilot. Part of the Going the Distance project led by the Further Education Society, this pilot is helping Indigenous people to improve their essential skills and to prepare for jobs in the tourism and hospitality sectors. By collaborating with the Ontario Native Women’s Association, the Society is ensuring the Ontario pilot encompasses culturally, socially and regionally relevant training for Indigenous participants. 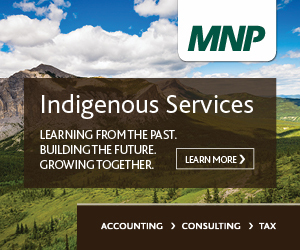 Employers will also have the opportunity to participate and customize workplace training programs and services for Indigenous people and to gain a better understanding of their workplace and training needs. Approximately 330 job seekers and workers with low skills, including 140 women, will benefit from this project. To date, over 90 participants have benefited from the project and partnerships have been created with two employers and other organizations which have provided in-kind services for the project. Through this investment, the Government of Canada is ensuring Indigenous people have a real and fair chance at success so they can contribute to the economy and participate in Canada’s prosperity. The Government of Canada provided approximately $2.7 million over four years to the Further Education Society for their Going the Distance project which will include a number of pilots across the country, including in Alberta, Saskatchewan and Ontario. Essential skills include the skills associated with literacy (i.e. reading, writing, document use and numeracy), as well as thinking skills, oral communication, computer use or digital skills, working with others and the skills associated with continuous learning. Through the Office of Literacy and Essential Skills, the Government of Canada works in partnership with provincial and territorial governments, employers and community organizations to provide Canadians with the resources they need to take advantage of job opportunities, contribute to their communities and share in the country’s prosperity.